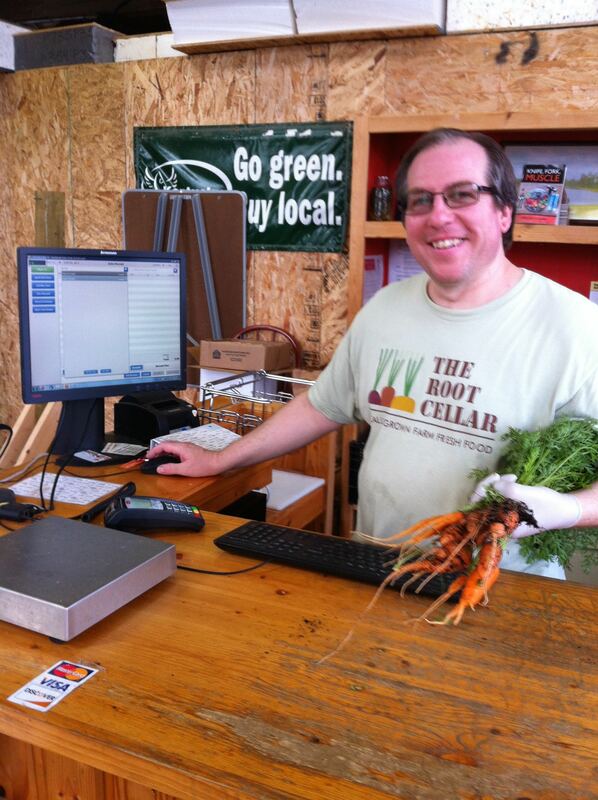 What is the biggest difference found when buying the carrot from local farm market instead of a grocery store? Except the price, the biggest difference is the shape of the carrot. We fail to find the misshapen and inglorious fruit and vegetable in major groceries and supermarket. Due to our US high developing food system, the carrots were sorted before arriving to the grocery stores. Even though some carrots look strange, in fact, in term of nutrition and taste, there is no difference. So why did the market kick them out? It not only sounds a kind of discrimination, but also causes food waste and pollution too. Carving is my campaign against this issue. 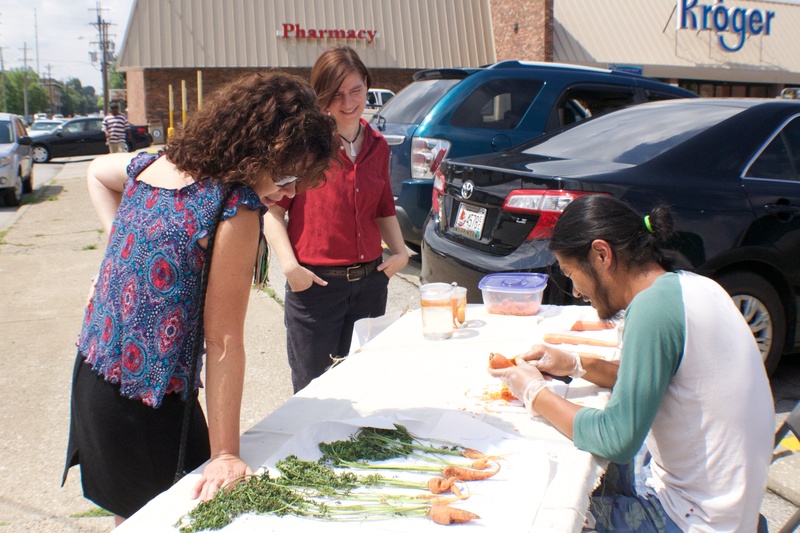 To let the people see the significant shape of carrot in local farm, there will be a performance to demonstrate the misshapen carrot carving in front of typical grocery – Kroger, 2nd street, Louisville, from 9am to 5pm in July 14th. 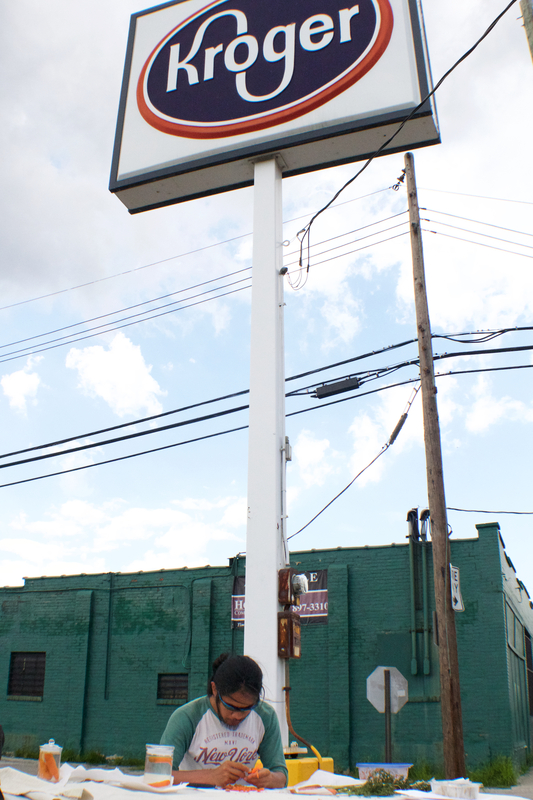 In the beginning, I bought some “perfect carrots” in a commercial grocery store, Kroger, 2nd street, Louisville. The perfect carrots were then carved as the misshapen carrots, which were found in local farm market, The Root Cellar. 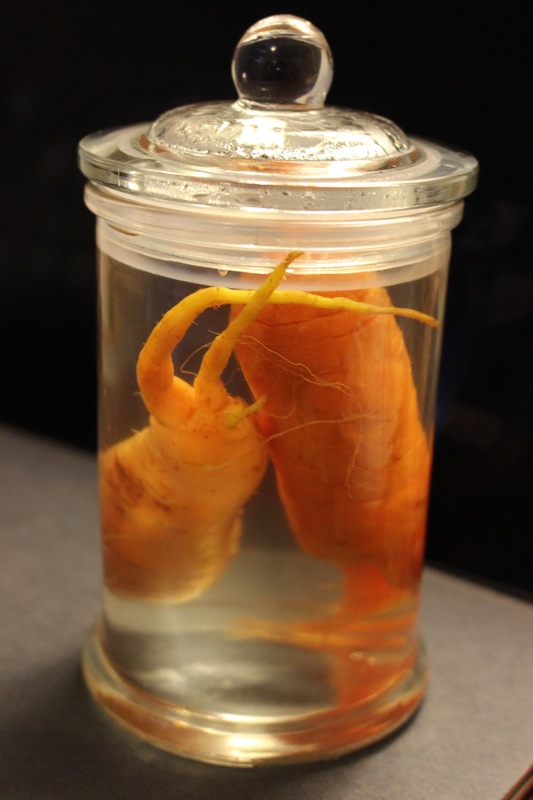 After carving them, they were separately paired to each misshapen carrot to pickled at a glass jar. 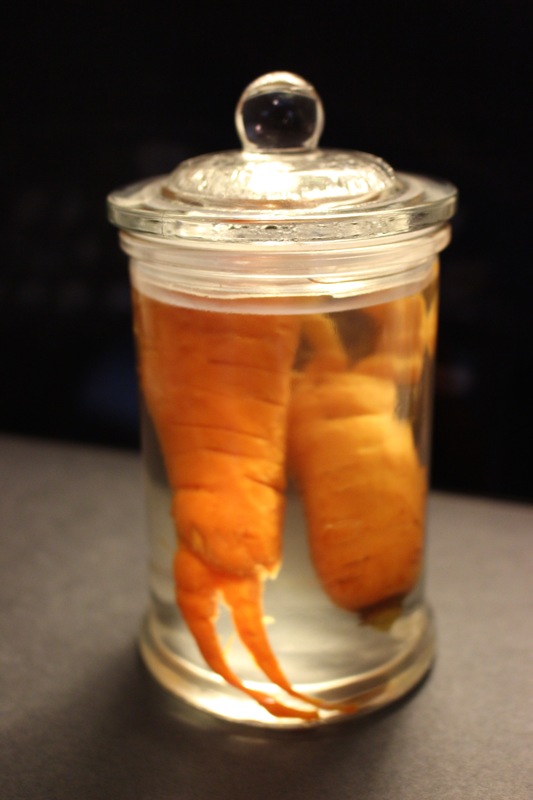 In this jar, there was no appearance difference but a pair of pickled carrots. Any way for an outsider to get some Arts exposure?